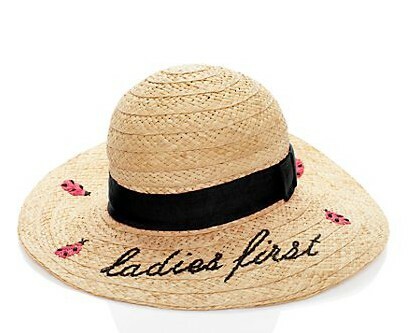 In light of Springing Forward today I’m sighing for something sunny like this adorable sun hat by Kate Spade. More sun calls for more protection, and there’s nothing more Stylish than a straw hat to beat the heat. Paired with a flowy dress, this sun hat is so easy and sophisticated, the perfect look for longer and warmer days.